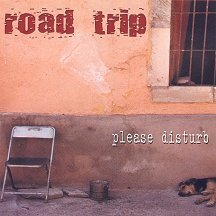 The addition of a top-notch producer (Jimmy has worked with Cheap Trick and The Pimps) and a recording studio with Pro Tools technology (The Noise Chamber) help make this one of the best ROAD TRIP discs ever! The songwriting was helped a lot by using a producer as well. I used a Roscoe Beck bass through an Ampeg SVT-Classic head/8×10 bottom combination on everything except “Turn Your Back” – I used a six string Modulus bass for that track. We miked the amp and sent a direct line to the board. It’s one of the best bass tones I’ve ever had on record, and the bass is pretty strong in the final mixes as well! Gotta love that!